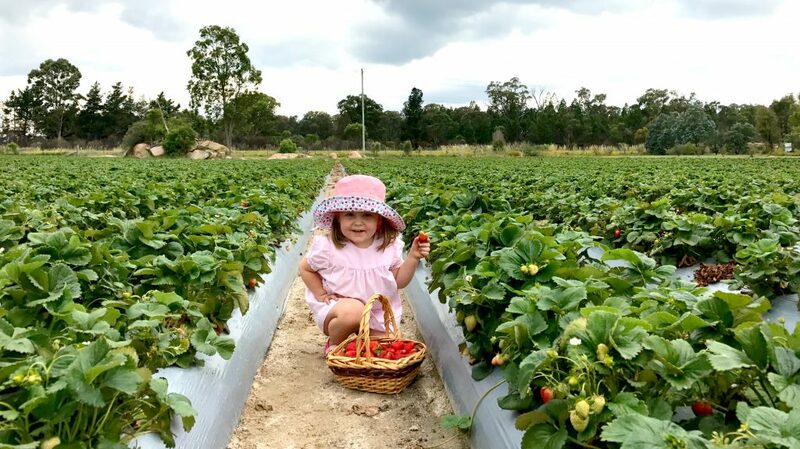 It’s sweet pickings, as strawberry season opens on the Granite Belt, with the public now invited to visit on-farm to pick their own (picking season now open through summer until May 2019). 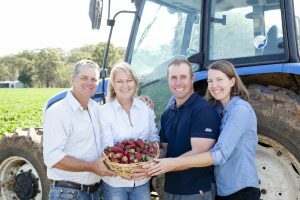 Stanthorpe’s Ashbern Farms are throwing open their gates to visitors for their own hands-on experience at a commercial strawberry farm. “The cold nights and warm days have been ideal for the fruit now being picked, really enhancing the sweetness,” reports Ashbern Farms co-owner Brendon Hoyle. According to Brendon Hoyle, what surprises most on a visit to their strawberry farm is the taste. “Strawberries taste so much better at room temperature and even better when they have been in the sun. They taste very different when they are straight off the farm and we often we see families where kids have said they don’t like strawberries, but are converted when they have tried the fresh ones,” says Hoyle. Ashbern Farms extend a challenge to visitors to hunt the strawberry patches for the largest strawberry and possibly enter the Hall of Fame for the Ashbern Super Size Strawberries! The largest strawberry found on farm so far weighed a whopping 70 grams. 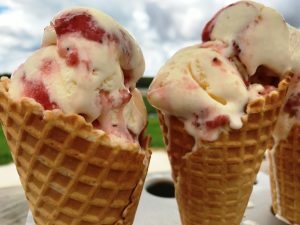 Part of the farm visit is often treat at the farm café, where strawberry icecream, made on the premises, a-tops waffles for the cafés most popular treat. With mild temperatures ranging from 7.8°C – 22.3 °C, the Granite Belt makes for a beautiful destination in spring, ideal for on-farm produce picking, visiting wine groves bursting with new foliage and exploring the spectacular granite outcrops across Girraween and Bald Rock National Parks. The Granite Belt has in recent years become increasingly appealing for family holidays, with the growing popularity of the year-round Christmas wonderland that is Stanthorpe’s Granite Belt Christmas Farm, plus the Granite Belt Maze and the new family friendly bike tracks on Mt Marley in Stanthorpe. Public strawberry picking is open at Ashbern Farms Wednesday to Sunday, 9am to 4.30pm from October to May. Admission is free, making it an affordable day out for the family. Ashbern Farms is at 2 West Road, Stanthorpe, just off the New England Highway. Just 2 hours from Brisbane, Toowoomba and 2.5hrs from the Gold Coast.